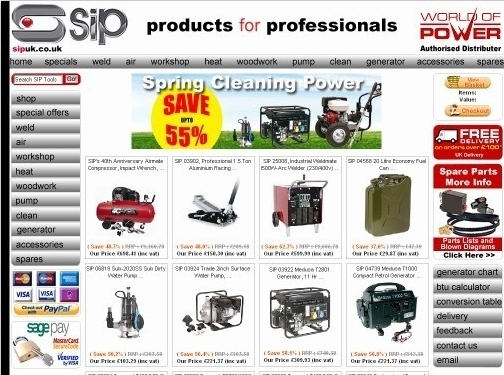 SIP UK stock a huge range of workshop tools including space heaters, air compressors, pressure washers, welding equipment and more. UK (Buxton) based company offering workshop tools for sale. Website includes e-commerce facilities, delivery and returns details (under "About Us"), full company contact details including VAT and company registration numbers (all under "About Us").